Using Adobe video tools to restore Mouse Failure. This week we continue the Real Workflows series with another personal project I worked on. Mouse Failure was another restoration project, but unlike Real Workflows - Flesh: Meet the Band, this project was restored as SD (480p). No up-rezzing was necessary. Mouse Failure was a video project that was originally produced for a video contest I entered while I was a employee at Avid Technology. 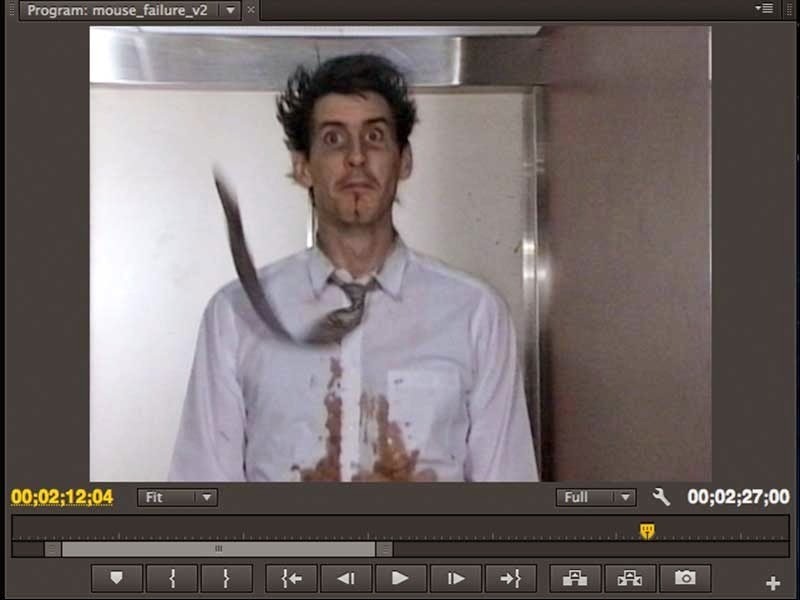 It's a comedy short about a hapless editor trying to finish his entry for the Avid Video Contest. Mouse Failure was produced with Jeff Jemison, a collaborator I had worked with since elementary school days. The video was written, shot and edited over the Thanksgiving weekend in 1994. The entire video was written around a sight gag Jeff came up with while we were tossing out ideas. Mouse Failure was restored because the only copy I had of the finished piece was a dupe of a VHS tape. Some of the detail was gone and the video levels were horrible. Also, the original cut used copyrighted material and I wanted to make sure I had the right to show it anywhere. Luckily I still had all of the original source. Editing the Mouse Failure in 480p. For this restoration project, I used Adobe Premiere Pro. I used Premiere Pro for its Dynamic Link to Adobe After Effects and because Premiere Pro was more forgiving when capturing a digital stream from my Sony DVMC-DA2 Media Converter. As I did in Real Workflows - Flesh: Meet the Band, I began the process by laying down the original cut in the timeline. I used this to match frame each cut of the sequence. At this point I could tweak the edits and adjust the timing of the piece. Once all of the cuts from the original source were laid in, I would convert each cut to an After Effects comp, so I could deinterlace and add effects as needed. Next week in Real Workflows: Mouse Failure (Pt 2), we'll discuss some of the decisions that were made for each segment once the overall sequences of clips was laid out.